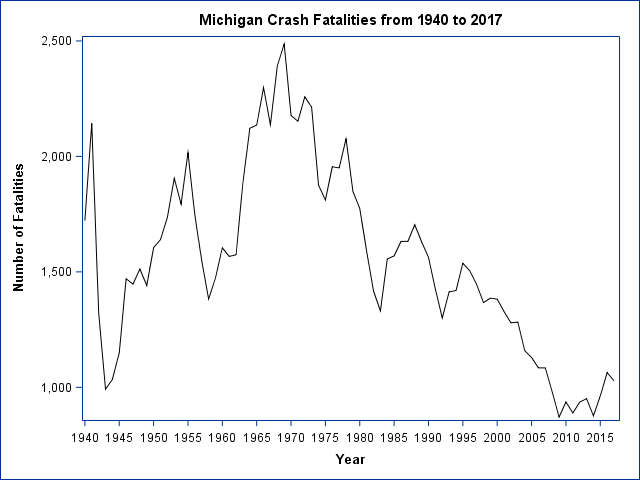 Figure 1: shows the total number of crash fatalities in Michigan from 1940 to 2017. 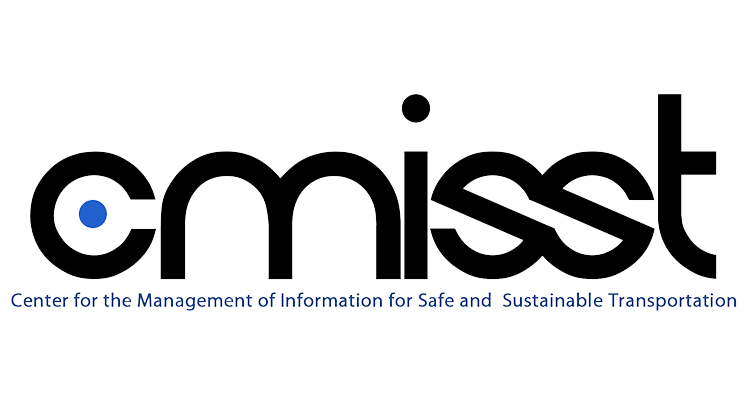 Fatalities reached their highest number in 1969 with 2,487 and have shown a general decrease since then.  Figure 2: fatalities from 2008 to 2017 only. 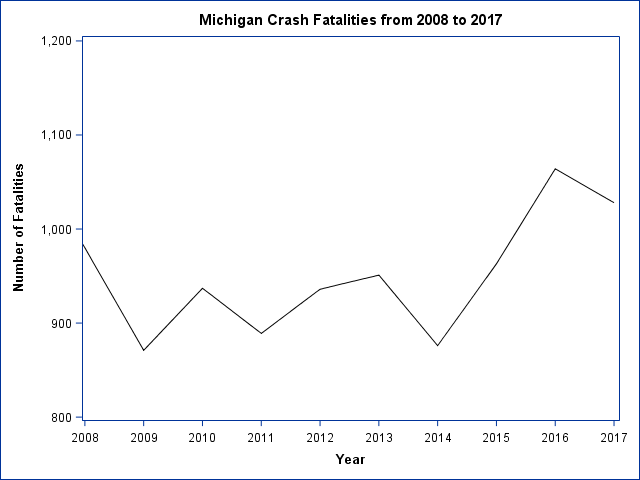 The total number of fatalities in Michigan decreased from 1,064 in 2016 to 1,028 in 2017 (3.4%).